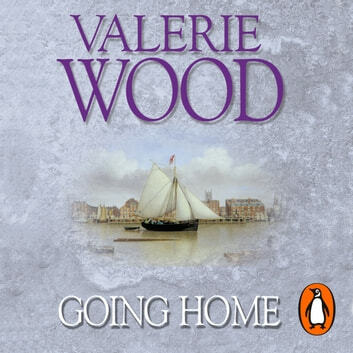 Random House presents the unabridged downloadable audiobook edition of Going Home by Val Wood, read by Anne Dover. For Amelia and her brothers and sisters, the grim past which their mother Emily had endured seemed very far away. As pretty as a picture, and now learning to be a teacher in York, Amelia looked forward with pleasure to becoming acquainted with the young men clamouring to get to know her, and especially the two gentlemen who had come all the way from Australia to meet her family. Ralph Hawkins, bringing with him his friend Jack - a handsome half-aboriginal Australian who was determined to make a good living for himself - arrived in Hull looking for his roots. 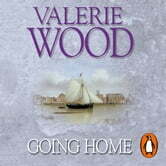 He found Amelia, whose tangled family history was inextricably bound up with his. Ralph Hawkins's whole world had been turned upside down when he learned that he had been adopted by the couple he had always called his parents. In his quest to find his real mother, he uncovered some cruel and unpleasant truths, before at last realising where his true destiny lay.